Selling a Kelsey Excelsior Platen Press in great condition. 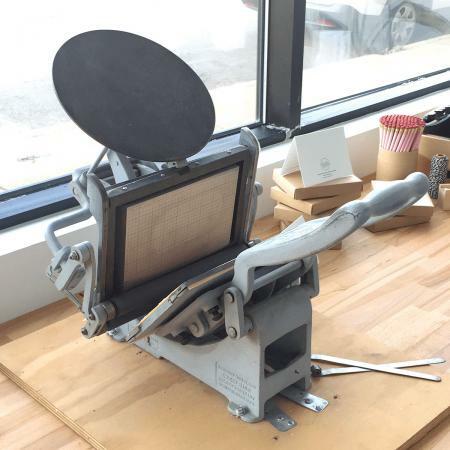 It’s a recently restored tabletop letterpress with rollers that are just a few years old and lightly used. Press bed is 6”x10”, and I also have a 6”x9” boxcar base available. I’ll also include some tympan paper, removable gage pins, and some Van Son letterpress ink for free. Cash and pick up only.